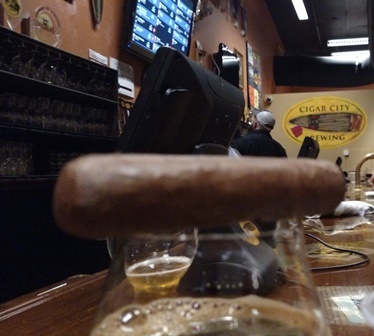 I recently had the privilege of visiting Cigar City Brewing in Tampa, FL. As a rule, I am not a big fan of Florida, due to the unusually abnormal level of bad drivers and generally abnormal folks - but I found Tampa pretty cool. Folks were nice, the beer was good, and they even have pretty damn fun single track. 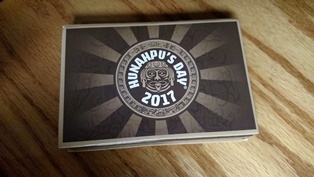 This past Saturday was Hunahpu's day. 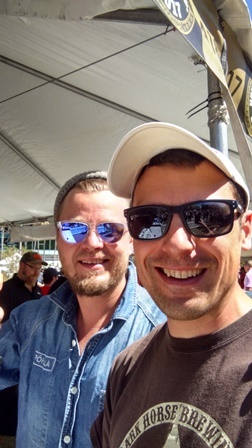 Cigar City's annual brewfest. Brewers came from around the world to share their brews. Due to 'admission issues' in the past - things are pretty well organized now. Your wristband comes weeks ahead in a box, you activate it online, and entry is only allowed with the rfid wristband. 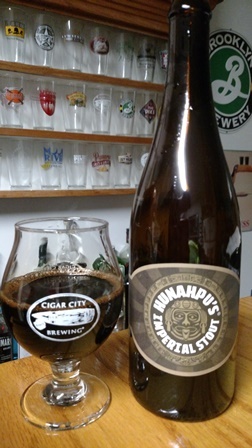 You can pick your bottles of Hunahpu's Stout ahead of the event - which beats picking it up after. Although picking it up after was not an issue for those folks either as most everyone had picked theirs up already, mitigating any lines. Four free food tickets and a tasting glass we re provided, along with admission. The fresh food from Da Kine Poke Bowls and other food trucks was amazing. The first brew I sampled was from a brewer in Tallinn Estonia - a Scotch Whiskey Barrel Aged Scottish Ale. He says it's changed a bit since I was there last. My favorites were a couple of brews from 3 Sons, Lumberjack Morning Break - an amazing stout with a great aroma, and Scoop a La Mode a neapolitan stout, which was the best attempt I have had at a neapolitan stout by far. I met a couple of great guys from Chicago while in line and after dinner we headed over to the brewery. The Cigar City brewery is decently small, had great service and tons of great brews on tap. They sell hand rolled cigars to smoke at the brewery. 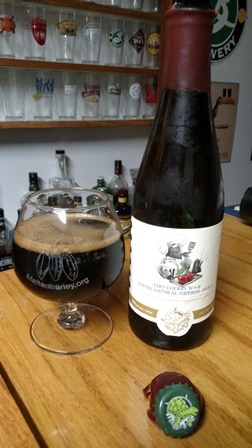 I sampled a Darkstar November (good stuff) shared by a patron, and enjoyed the tap list. The regular Huna pours with a dark viscous head, has a spicy sweet arouma and flavor. It's balanced with cocoa notes and nice warmth, it's a great stout. A bit expensive, but not disappointing. I might even try to go back someday. 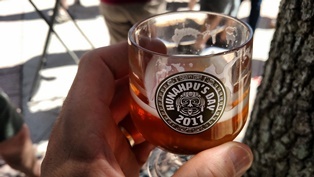 There are a number of other great breweries in the area, and Hunahpu's day falls at the end of craft beer week, and about two weeks before it gets way too hot. So it's not a bad time to be in Florida. I wrote this one a while back. I am not sure why I never got around to posting it. Each year Terrapin releases their spin on a fancy Wake n' Bake. Their breakfast beer taken to the next level. This year it poured with a minimal head, minmal nose, till it warmed. Tart Cherry, coffee, pretty much what is was promoted to be. The first time I tried the one off incanation of Wake n' Bake it was the Cinnamon Roll'd Wake n' Bake. I loved the subltly of it. It was not over the top, just a perfect cinnmanon roll. The next year they did the French Toasted, good but not as good as the Cinnmon Roll'd. I don't even remember what they did last year. Tart Cherry is good, but nothing to get overly worked up about. That said, I love wake n' bake, the Jitty Joe's Coffee addition is pretty amazing and really does make for a great breakfast stout. In the end the Jittery Joe's Coffee is the ticket. 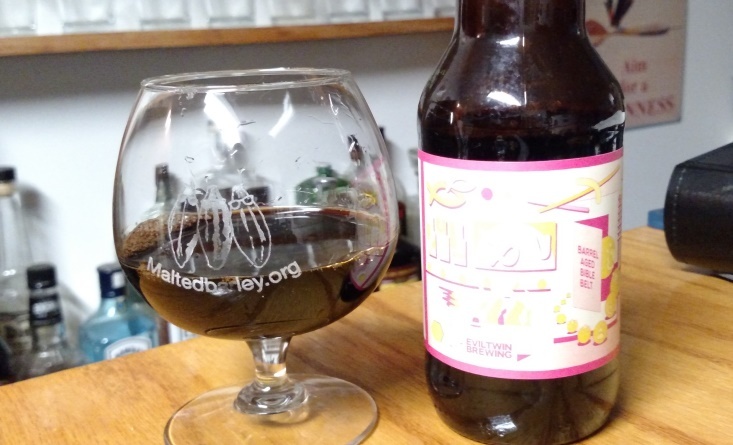 I had a homebrew from a friend who cloned WnB using the same coffee and it was just as good. So on one hand yeah it's amazing I love it, but on the other hand the ale is not super special, the coffee is.